BP expects to book a one-off charge of US$1.5 billion to its Q4 2017 earnings due to the U.S. tax reform, as the new legislation requires revaluation of BP’s U.S. deferred tax assets and liabilities, the UK supermajor said on Tuesday. Details of the final actual revaluation and charge will be released when BP reports fourth-quarter 2017 earnings on February 6, the group said. BP is joining its competitor, Royal Dutch Shell, which said last week that it expected to book a US$2-2.5-billion charge in its fourth-quarter 2017 results following the tax reform. Beyond the short-term one-off impact on Q4 2017 earnings, both Shell and BP say that the new tax rules will be positive for them in the long term, and the reform as a whole is seen as benefiting the oil and gas industry. Shell “expects the potential economic impact of the recently enacted US tax reform legislation to be favourable to Shell and to its US operations, primarily due to the future reduction in the US corporate income tax rate from 35% to 21%,” the Anglo-Dutch supermajor said on December 27. “BP expects its future US after-tax earnings to be positively impacted by the recently-enacted changes to US corporate taxes, largely due to the reduction of the US federal corporate income tax rate from 35% to 21% (effective 1 January 2018),” BP said on Tuesday. The ultimate impact of the tax overhaul is subject to a number of complex provisions in the new U.S. tax rules which BP is currently reviewing, the oil supermajor said. In the U.S., BP produces oil from four production platforms in deepwater Gulf of Mexico and from the Prudhoe Bay area in Alaska. BP also has onshore natural gas production operations, mostly in the western and southern United States. 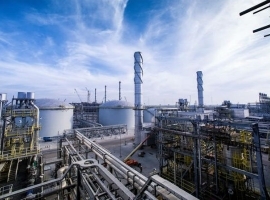 In refining, BP owns three refineries--Cherry Point, Washington; Toledo, Ohio; and Whiting, Indiana, with combined capacity to process up to 746,000 bpd.